Use the buttons to find out more about each treatment. Or take advantage of our Exclusive Packages. TACKLE SIGNS OF AGEING, SAFELY, EFFECTIVELY WITH LONG LASTING RESULTS. SUCCESFULLY TREAT THE FOLLOWING AREAS IN A RELATIVELY QUICK AND EASY MANNER. Swiss Care is a leading anti-wrinkle aesthetics clinic in London we specialise in Anti-Wrinkle consultations and muscle relaxing injections, which are carried out in our North London Clinics; Palmers Green and Winchmore Hill, also available in our Central London clinics; Oxford Street and Harley Street. As you get older the elasticity the skin reduces causing expression lies such and frown lines and laughing lines but ny using muscle relaxing injections you can soften these to create a smooth appearance. On the nose moves alot and muscles in the nose can cause bunny lines on the bridge or you could get mild sweating on your nose why not solve this issue with injections. What are Nose Anti-Wrinkle Injections? You can see the benefits after 2 – 3 days with the full benefit being seen after 2 weeks. 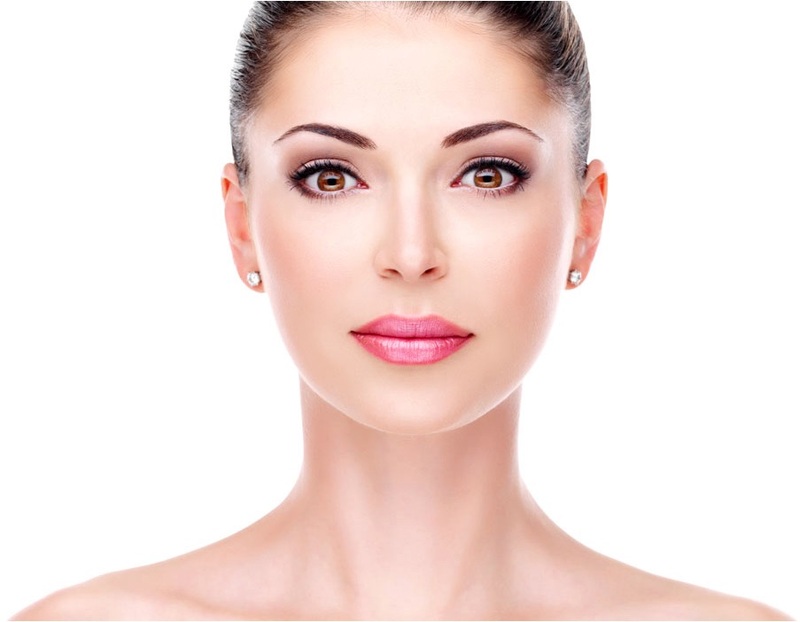 Botulinum toxin is used to relax facial muscles which create expression lines. What areas can I have Botox? Anti-Wrinkle injections have been used successfully to treat frown lines, wrinkles, Crow’s feet, forehead lines and other various wrinkles but we are more advanced and now use them to treat sweat aswell at the tip of the nose. A tiny needle is injected in a very precise location on the face. How many sessions do need? Just the one session until it wears off, Then it is up to you if you want it done again. You might need a top up after 2 weeks, which will be free of charge. The nose moves a lot and muscles in the nose can cause bunny lines on the bridge, or you could get mild sweating on your nose why not solve this issue with our anti-wrinkle injections. The Treatment lasts between 3 – 6months but does vary from person to person. THERE ARE MANY AREAS SURROUNDING THE EYE THAT SHOW EARLY SIGNS OF AGEING. The eye is one of the most delicate areas of the body due to this it the skin around it get impression easily. As you get older the elasticity the skin reduces causing expression lies such and frown lines and laughing lines but ny using muscle relaxing injections you can soften these to create a smooth appearance. What are Eye Anti-Wrinkle Injections? Just the one session is all you need until it wears off. Then it is up to you if you want it done again. You might need a top up after 2 weeks, which will be free of charge. You can see the benefits after 2-3days.The full benefit is seen after 2 weeks. Smoother skin is just one of the benefits of Anti-Wrinkle injections. **One Speywood unit (U) is defined as the median lethal peritoneal dose in mice (LD50). The Speywood units of Azzalure are specific to the preparation and are not interchangeable with other preparations of botulinum toxin. in adult patients under 65 years, when the severity of these lines has an important psychological impact on the patient. Botulinum toxin units are different depending on the medicinal products. The Speywood units of Azzalure are specific to the preparation and are not interchangeable with other preparations of botulinum toxin. The safety and efficacy of Azzalure in individuals aged up to 18 years have not been established. The use of Azzalure is not recommended in subjects under 18 years. Azzalure should only be administered by physicians with appropriate qualifications and expertise in this treatment and having the required equipment. Once reconstituted, Azzalure should only be used to treat a single patient, during a single session. Remove any make-up and disinfect the skin with a local antiseptic. Intramuscular injections should be performed using a sterile 29 – 30 gauge needle. The treatment interval depends on the individual patient’s response after assessment. Treatment interval with Azzalure should not be more frequent than every three months. Allergan is a US-based specialty drug and medical device company offering innovative products in approximately 100 countries. Allergan is investing significant resources to develop a product portfolio that addresses the full continuum of care for patients with Overactive Bladder (OAB) and other urological and genitourinary disorders. In 2013, BOTOX® received FDA approval as a treatment for Overactive Bladder to treat the OAB symptoms of leakage, the strong sudden need to go, and going too often in adults when another type of medication (anticholinergic) does not work well enough or cannot be taken. Today, BOTOX® neurotoxin is approved to treat a total of eight medical conditions in the Unites States. TREAT A GUMMY SMILE, LIP AND MARIONETTE LINES SAFELY, EFFECTIVELY WITH LONG LASTING RESULTS. LINES AROUND THE MOUTH CAN SHOW EARLY SIGNS OF AGEING REMOVE UNWANTED WRINKLES AND IMPROVE THE APPEARANCE OF YOUR SMILE. What are Mouth Anti-Wrinkle Injections? As you get older the elasticity of the skin reduces causing expression lies such and marionette lines and smokers lines around the lip but by using muscle relaxing injections you can soften these to create a smooth appearance. Just the one session until it wears off. Then it is up to you if you want it done again. You might need a top up after 2 weeks, which will be free of charge. Anti-Wrinkle Injections have been used successfully to treat fine lines and wrinkles but becoming more advanced we can now treat to correct areas which we may be conscious about such as a gummy smile. SAFELY, EFFECTIVELY WITH LONG LASTING RESULTS. GO WRINKLE FREE AND REMOVE UNWANTED FOREHEAD WRINKLES AND LOOK YEARS YOUNGER. The Treatment lasts between 3 – 6 months but does vary from person to person. As you get older the elasticity the skin reduces causing expression lies forehead lines and laughing lines but by using muscle relaxing injections you can soften these to create a smooth appearance. What are Forehead Anti-Wrinkle Injections? Anti-Wrinkle Injections have been used successfully to treat fine lines and wrinkles but becoming more advanced we can now treat to correct areas which we may be conscious about such as forehead lines and laughter lines. CONTOUR AND DEFINE YOUR JAW AND CHIN WITH A SAFE AND EFFECTIVE TREATMENT WHICH CAN LASTS UP TO 6 MONTHS. WHY COME TO SWISS ? Often without meaning you can cause muscles in the face to build up such as a strong jaw line or a pipped chin but by using muscle relaxing injections you can soften these to create a smooth more feminine appearance. Chin-injectionsWhat are Chin Anti-Wrinkle Injections? Botulinum toxin is used to relax facial muscles which create expression lines or strong dominant muscles. Anti-Wrinkle Injections are often called muscle relaxing injection when thinking about the jaw and chin these injections are used to relax the tight/built up muscles so creating a softer more feminine look to the face.